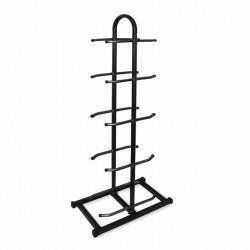 Very popular accessory for those who wish to keep the workout room efficient and organized. 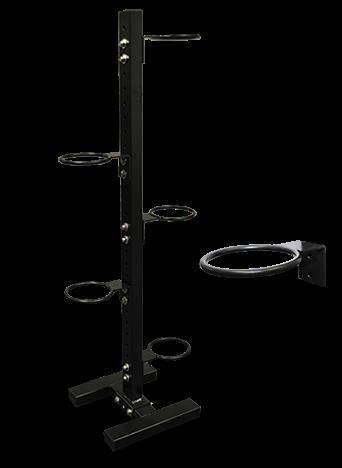 Dumbbells will never go out of style and this rack is able to fit almost any type. Ball holder is 1/2″ round solid bar, 1/4″ steel, ball holders 6″ round with two 1/2″ holes to mount at users choice on stable surface. Holder has clearance from stand or wall to hold large 14.5″ balls to smaller medicine balls. 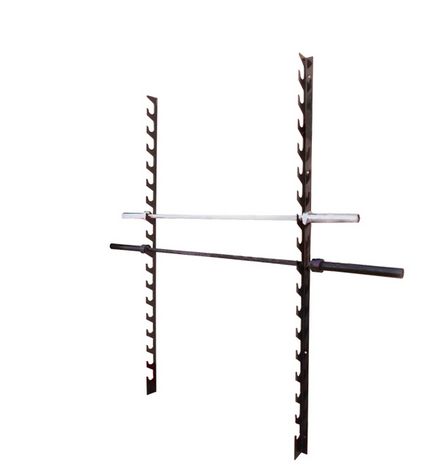 Ball holders can be bolted to both sides of rack for increased storage. 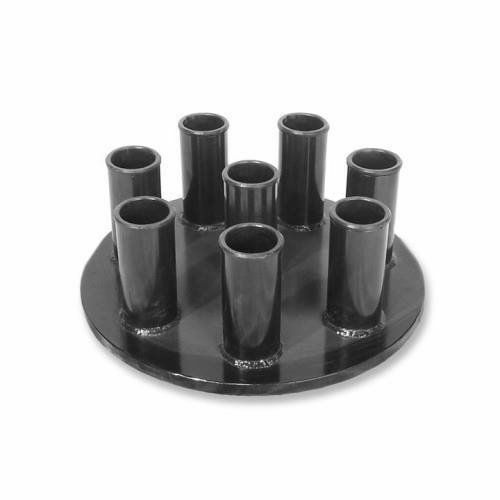 STAND INCLUDES 5 BALL HOLDERS 2″ X 3″ 11 gauge square steel frame 61″ tall with stable H frame design, All black powder coat finish. 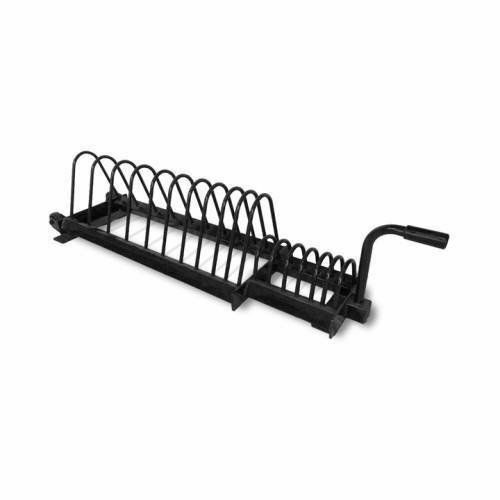 This bumper plate rack allows you easy storage for your bumper plates in a home, or commercial setting, and can be easily moved by a dual wheel/handle transport system. 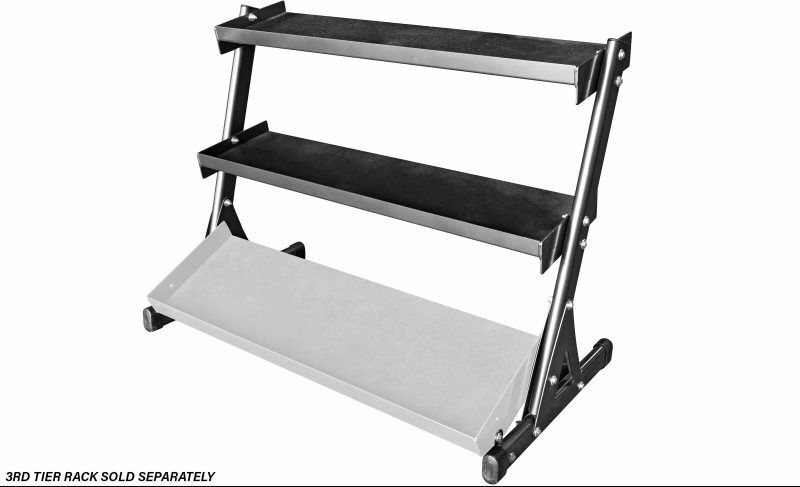 Easy bar access, Incorporates 6 bar holders for organized storage. 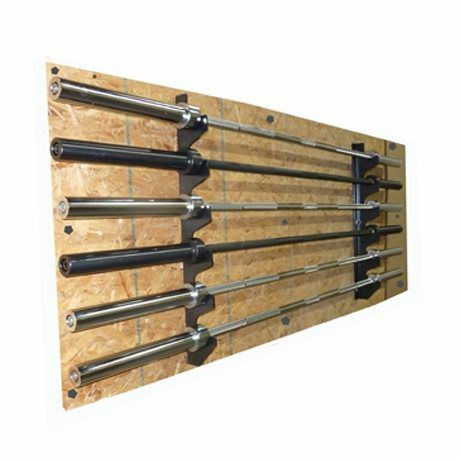 A more efficient way to store your bars, and keep your gym organized. 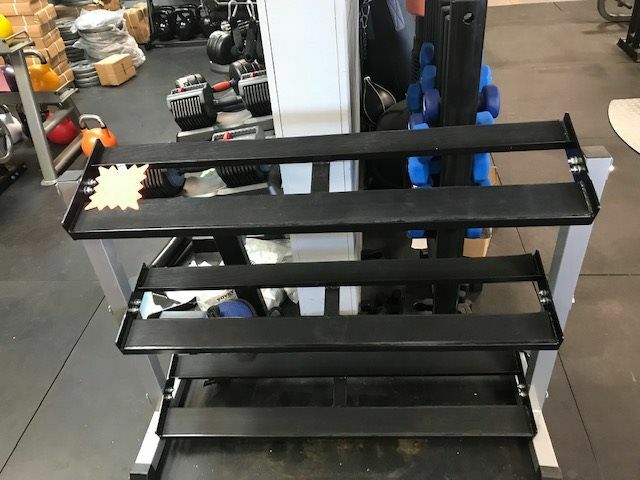 3trays - Tray Dimensions: 48" x 12"
The durable Northern Lights Medium Dumbbell Stand is for use with adjustable weights. 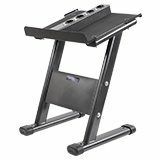 The stand is constructed out of 14 gauge steel and features four 1.5" added weight ports on the top to store the adder weights when they are not in the handles. The stand also features non-slip pads to store the adjustable dumbbells on. The dumbbell placement area's measure 8.25" x 17.25".